If you’re on the hunt for a sedan that’s not only stylish but also functional in every way, then the Kia Optima could be the vehicle for you. The Kia Optima combines impressive performance with high-tech features and incredibly spacious passenger accommodations. 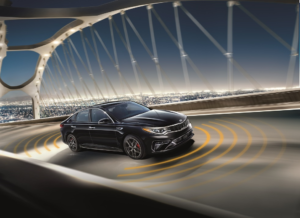 On this page, we at Sussman Kia will introduce you to all of these top-of-the-line features and the many more that the Kia Optima has to offer. Shoppers in the areas of Jenkintown, Rydal, and Glenside should read ahead to get started! Front/Rear Legroom 45.5 in./35.6 in. After you’ve used this helpful Kia Optima resource library to confirm that this model is the right fit for you, our team of professionals is ready and excited to help you take the next step. Come down to the dealership to take a test drive and pick out the perfect trim level for your needs. When you have your next Kia Optima picked out and ready to go home with you, you’ll get to meet with our friendly finance team. Whether you want to buy or lease your next Kia Optima, our finance team will work hard to help you find a payment plan that you feel confident about. Even after you sign the papers and drive down the road, we’ll be here for you when it comes time for routine maintenance or unexpected repairs. Bring your Optima back anytime and our service technicians will make things as good as new for you quickly and correctly. 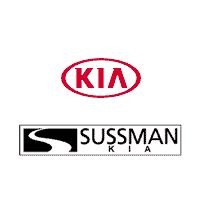 Get Shopping with us at Sussman Kia! We at Sussman Kia are thrilled that your search for more information about the Kia Optima brought you to our comprehensive Kia Optima resource library. Shoppers in the areas of Jenkintown, Rydal, and Glenside should dive in and get started on their research with us today. Then, after you’ve gotten your fill of information, contact us at the dealership or online to schedule your test drive in the Kia Optima!